Photo of: Midlands of Ireland: Tipperary. 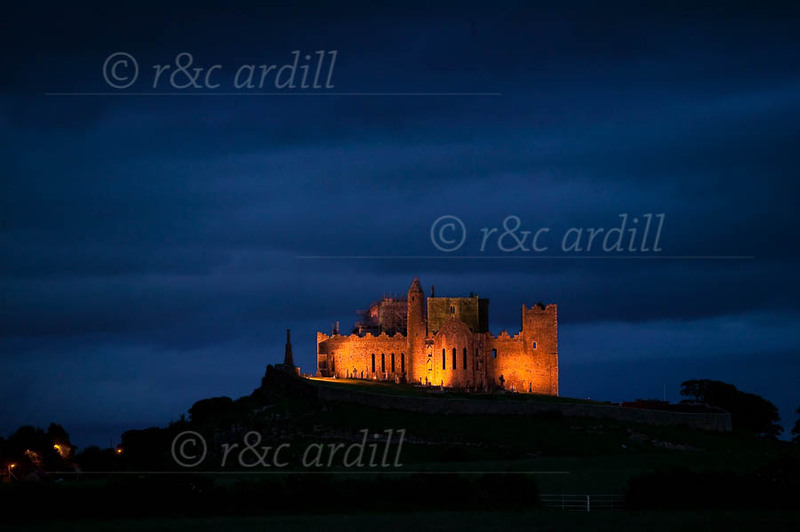 This image is a photograph of The Rock of Cashel at night. There is still a little light left in the sky.